Have you recently been diagnosed with a possible stroke or transient ischemic attack (TIA)? Download this important document: What can you expect to understand the next steps in your care. Seeking a referral to our clinic? Please speak to your family care physician. Our team is led by internal medicine physicians, along with nurses, diagnostic technicians and educational experts specializing in the field of Thrombosis. We provide a comprehensive approach to treatment whereby the patient can take charge of their outcomes by receiving regular medical follow ups and educational guidance. With our long established history in clinical trials we are also able to provide patients access and information about the newest anticoagulation/blood thinner medications on the market. 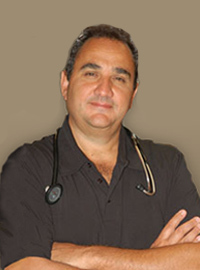 Dr. Berlingieri earned his Bachelor’s degree from the University of Western Ontario. Subsequently he received his medical degree from The University of Toronto. He continued his post graduate training in Toronto until 1995 when he received specialist certification from the Royal College of Physicians and Surgeons of Canada in General Internal Medicine and Critical Care Medicine. Dr. Berlingieri currently functions as a consulting physician at the Joseph Brant Memorial Hospital, Burlington Ontario in the departments of Critical Care Medicine and Internal Medicine. 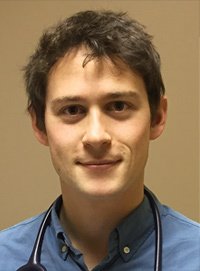 He is also Medical Director of JBN Medical Diagnostic Services Inc., Burlington, Ontario and has a very busy community based clinical practice. He has extensive experience with patients suffering from Deep Vein Thrombosis and Pulmonary Embolism both in emergency settings and outpatient care. Dr. Berlingieri is an Assistant Clinical Professor, Department of Medicine, McMaster University, Hamilton, Ontario. Dr. Pasyk earned her Ph.D. degree in Medical Sciences from McMaster University. She worked as a Postdoctoral Fellow and Research Associate at the Hospital for Sick Children and the Department of Medicine at the University of Toronto, respectively, where she gained extensive internal medicine research experience and authored multiple peer-reviewed publications in major medical journals. Dr. Pasyk received her medical degree from the University of Health Sciences of Antigua. She completed her post graduate training in Internal Medicine at Queens University in Kingston, Ontario, after which she received specialist certification from the Royal College of Physicians and Surgeons of Canada. Throughout her residency Dr. Pasyk specialized in the management of Thrombosis and Pulmonary Embolism in both inpatient and outpatient settings. 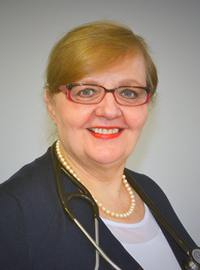 Dr. Pasyk joined JBN Medical Diagnostic Services Inc. in the fall of 2014 and also practices at her General Internal Medicine Clinic in Hamilton. Etai Shachar earned his Bachelor’s degree in medical sciences at the University of Western Ontario. Subsequently he received his Masters degree in Biotechnology at the University of Guelph in 2014. Etai has been an active contributor to medical research studies at the University of Toronto and University of Guelph since beginning his university education. He has published in major medical journals and spoken at international medical conferences to promote programs focused on preventative medicine in chronic disease. Currently serving as research co-ordinator at JBN Medical Diagnostic Services Inc. in Burlington, Ontario, Etai has been facilitating clinical education initiatives for patients suffering with thrombosis, atrial fibrillation and requiring anti-coagulation therapy. He will begin his medical training in the Fall of 2015.